My oldest will be a high school senior next year. There are lots of feelings surrounding that and one of them is excited. Graduation means I get to do something I love. Plan a party! This will be the first graduation party I’ve planned and my to-do list is already started with everything I need, including fun graduation party invitations! 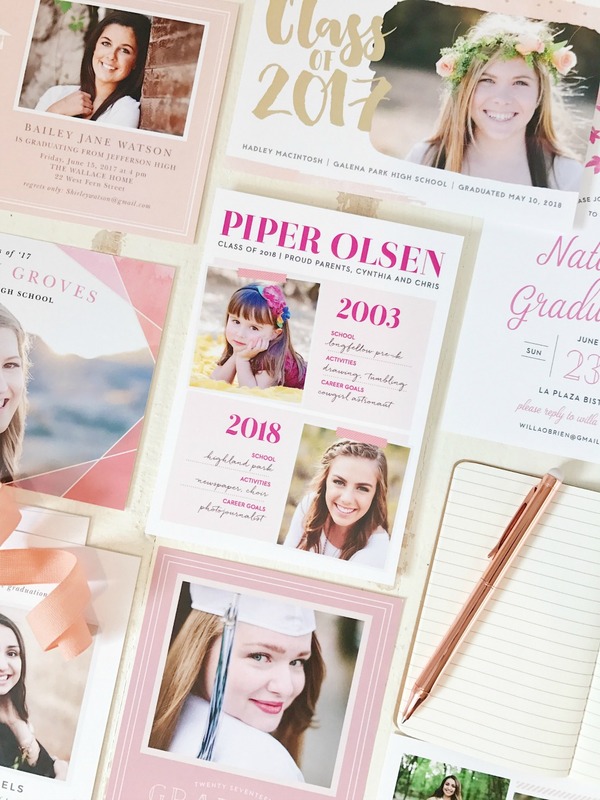 Do you want to create photo graduation party invitations exactly how you want them, down to the littlest details? Meet Basic Invite! One of the few websites where you can design invitations with almost unlimited color options and instant previews online. Each element on the card can be changed to over 180 different color options! 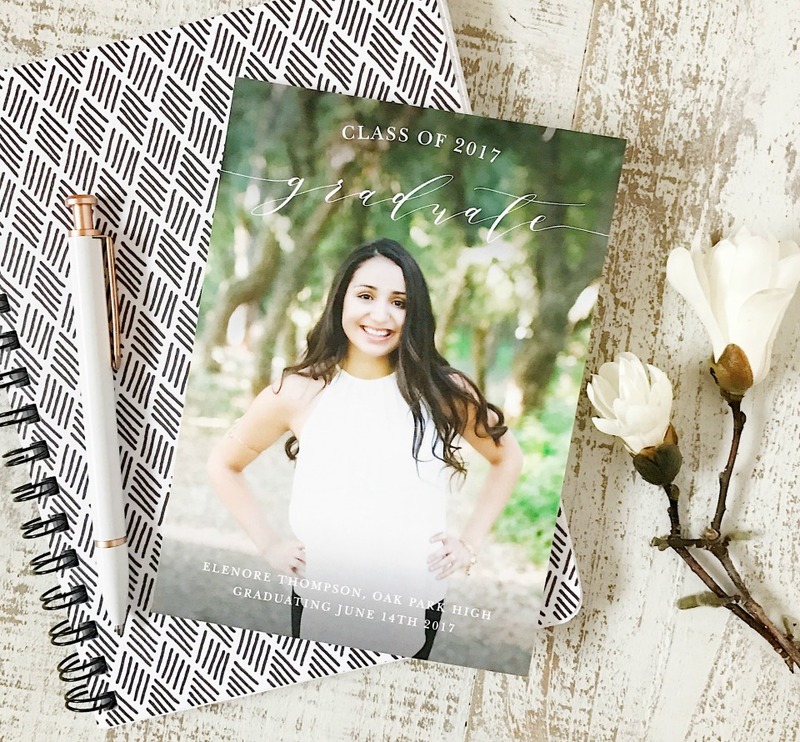 I was playing around with Basic Invite’s graduation invitations templates and was seriously impressed with how easy it was to create a truly customized card. 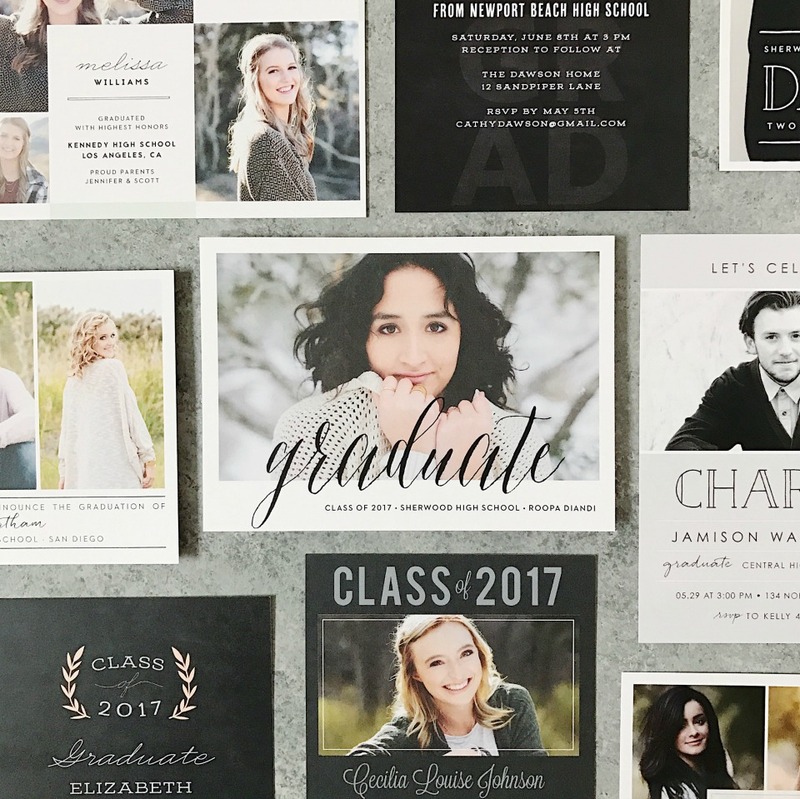 With TONS of invitation styles paired with SO many color options, there is a card for every graduate’s party. One of the things I like about Basic Invite is the custom samples they offer. After creating the card you want you can actually order a printed sample of the invitation to see exactly how it prints BEFORE placing the final order. How fantastic is that?! Basic Invite even makes the little things more special. They offer peel and seal envelopes in 40+ different colors so those invitations can quickly be stuffed, sealed, and stand out in the mail crowd! I don’t know about you but I’m definitely going with a school color for envelopes. Another little thing Basic Invite does? Offers a link to share on social media to capture addresses. Have you ever had to hop on Facebook and ask your friends and family to send you their address for an invite? When you share the Basic Invite link they capture the address for you and store it in your account AND they offer recipient address printing at no cost on all card orders! I’m telling ya. 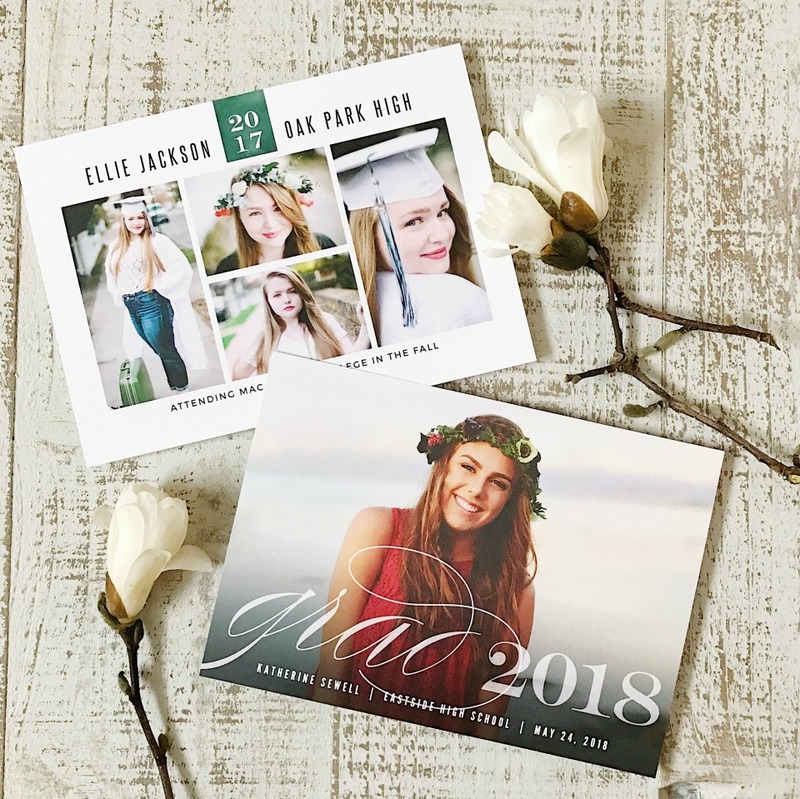 Basic Invite is the way to go for fun photo graduation party invitations and for a limited time you can save 15% off your order with coupon code: 15FF51 and that includes hs graduation invitations!